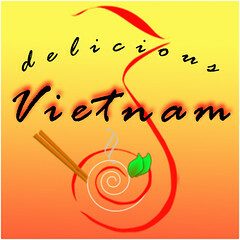 Delicious Vietnam 2: A Delicious Symphony! 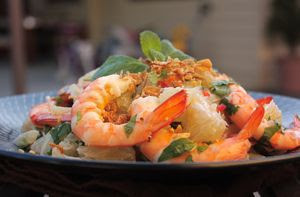 This month’s Delicious Vietnam 2 Round up has such a variety, it’s truly a visual symphony of Vietnamese cuisine..so many delicious recipes reflecting the brightness and freshness of ingredients. 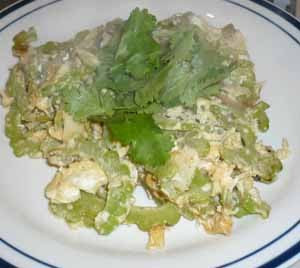 Imagine if you could have a potluck of all these great dishes..it would be out of this world! Visit all these great entries and enjoy! 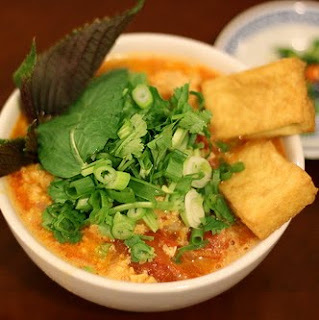 Bun Rieu Crab Noodle Soup by Bonnibella of Chrysanthemum blog, San Francisco, CA. 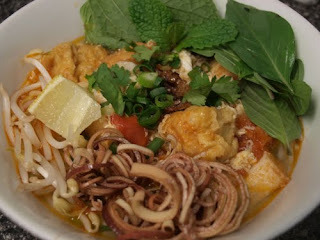 Bun Rieu Crab Noodle Soup by Angie of Angie Loves to Eat (and Cook)! of Sydney Australia. Thank you everyone for all your great entries. 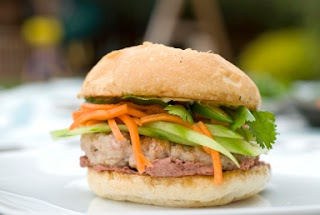 We hope you enjoyed this episode of Delicious Vietnam 2. The next month’s host are Anne and Mike of Budda Bellies. Submissions are due the second Sundays of each month, so please submit your posts by 7 pm pacific time Sunday July 11 to buddhabelliespdx [at] gmail.com. 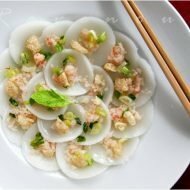 For previous round ups and details on how to submit and information for future hosts, please visit this Delicious Vietnam page. 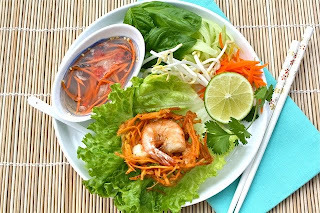 From appetizers to desserts, this is such a great round up of Vietnamese dishes. So happy to be apart of this! I'm looking forward to cooking some of these dishes. 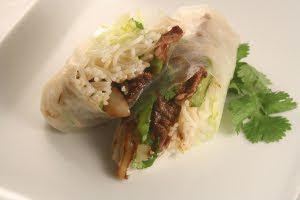 Shao: Thanks for submitting those awesome summer rolls! Everything looks so scrumptious! What a display of good food. 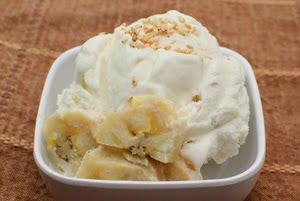 My stomach particularly growled over the Trout Summer Rolls, Mochi Dumplings, Pho Beef, and the Banana Coconut Ice Cream. 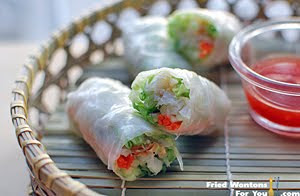 Mountain trout summer rolls (goi cuon).. what a fantastic innovation! Yum! 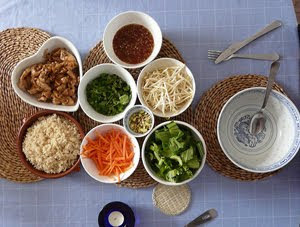 Just stumbled on your blog and I'll definitely join in on the next delicious Vietnam challenge and my bestie is Vietnamese and forever making delicious goodies. Ok. That's it! I've had enough! I'm moving to Vietnam! 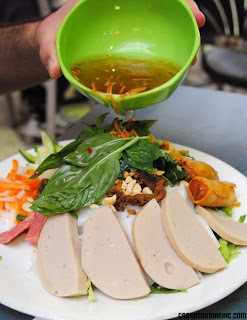 Thank you for having a place to showcase delicious vietnamese food. 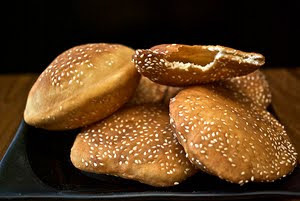 Also a great way to connect with other Vietnamese food lovers. All these recipe will keep me busy for a while! Oh, what an excellent collection! And here I missed the deadline…due to unexpected numbers of guests! Great round up! 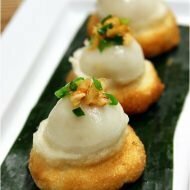 There are so many tantalizing dishes across appetizers to dessert, I'm so hungry now! btw, I like the new color scheme on your blog, it's much easier to read the text. oh wow, I can't wait to try some of these. Thanks for the round up! Fantastic! They are sooo much tempting! 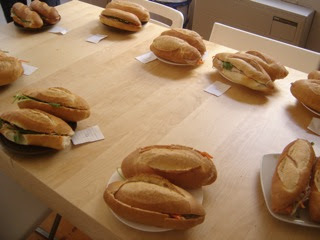 What a pity i didnt have time for this month Vietnam delicious! Don't forget there's next month so if you didn't have time, just submit to July or August! Also, let us know if you're interested in hosting! what a fabulous roundup!! I will update the info as well. Thanks for a brilliant job at hosting! A-ya! Missed this one! 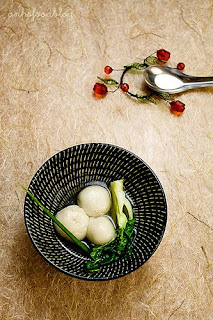 Delicious-looking food, once again. And all so different. Drool. Bravo! 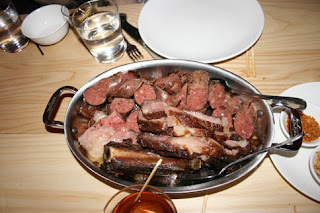 Great roundup with tantalizing recipes. Wow, a wonderful bunch of dishes! 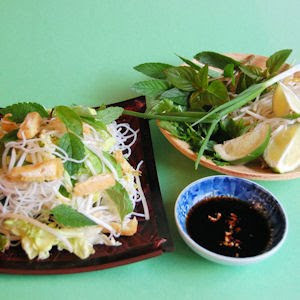 It is great to learn more about Vietnamese cuisine! Wow, this is a great roundup. 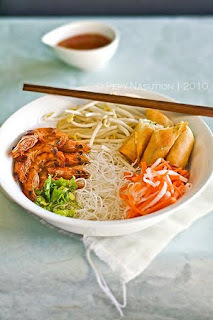 For me, it's really fun experience to learn about Vietnamese food. Quite the line up here–wow! 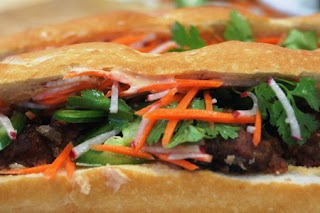 nice job on your 2nd Delicious Vietnam post! i will contribute next time! Lovely roundup!! 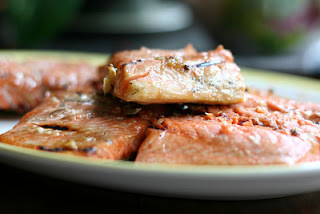 I bookmarked some recipes to try already this week! This looks so good. Would you suggest another dish if cat fish is not available? 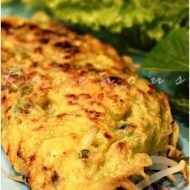 Looking forward to the delicious Vietnam! What a great event! 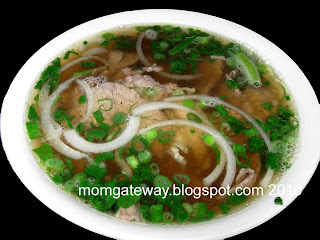 I love Vietnamese Food but I don't know of any really good ones in my area. 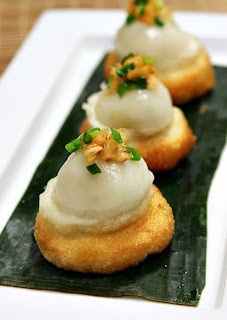 This is a good way for non-Vietnamese people like me to branch out of the traditional dishes we order in restaurants. 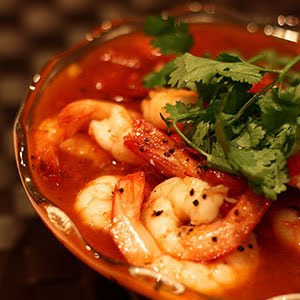 This is motivating me to pull out my Vietnamese cookbooks and give some recipes a try. Thanks! What an incredible array of delectable cooking. Can't wait to dig into the recipes.